Newspapers that sought to publish excellent, ethical reporting were judged as higher quality than those that prioritised profit. The study found that newspapers that aspired to publish excellent, ethical reporting were judged as higher quality than newspapers that prioritised earning higher profits or expanding audiences. The study analysed news coverage in eight newspapers (four in each country), representing: up-market subscription papers; regional subscription papers; free commuter papers; and tabloid newspapers. Each press type was characterised by structural features such as the revenue mix (subscriptions, advertising), targeted readership groups etc. As media systems in Sweden and Switzerland are similar, most differences in the quality of news coverage were to be expected among the four press types, rather than between Swedish and Swiss media in general. Up-market subscription papers in both countries demonstrated the highest quality, followed by regional subscription papers, then free commuter papers and finally tabloids, the study found. Thus, media types are relevant to quality. However, differences in quality were found between newspapers within these four press types. This was significant as it revealed how the context of individual news outlets has an impact. Comparing the Swedish and Swiss regional papers, the Swedish regional paper was judged to be of lower quality according to the study’s criteria. The only noticeable difference in structural features between the two papers was that the Swedish paper had made more staff redundant than the Swiss paper. This indicated that diminishing resources could have affected quality. However, although resources are important, this factor cannot sufficiently explain quality differences. 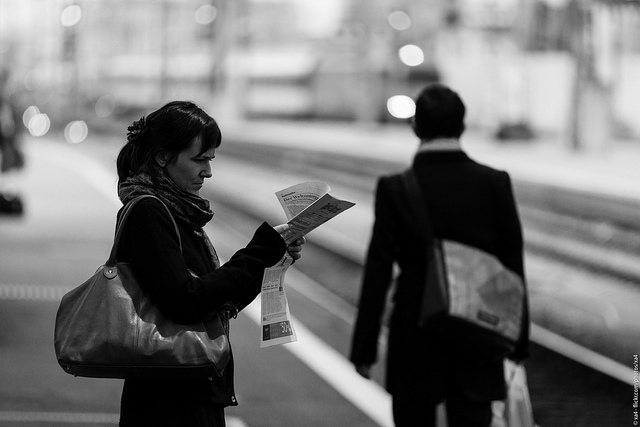 The study also compared two free commuter papers, the Swedish Metro and Switzerland’s 20 Minuten. Swedish Metro was judged to be higher quality than 20 Minuten. This is despite the fact that Metro’s content, much more than that of 20 Minuten, is produced by news agencies (for part of 2014, Metro’s content production was even completely outsourced to a news agency). 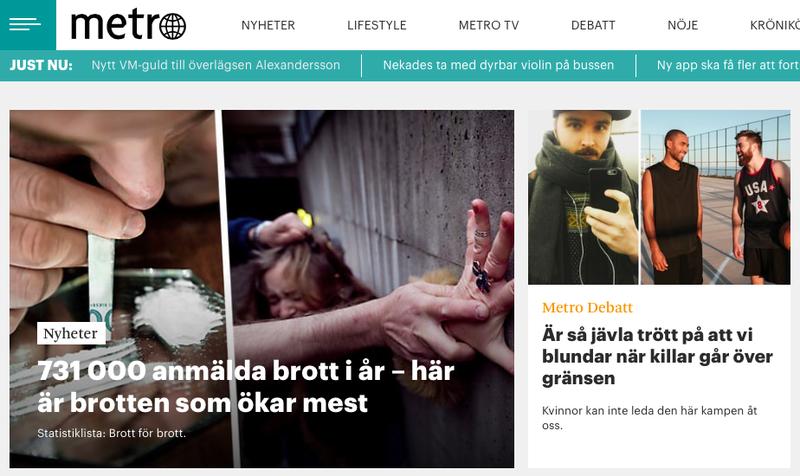 Although Swedish Metro does not offer much analysis, compared to 20 Minuten, it was found to contain more hard news, fewer personalised news articles and less emotional reporting than 20 Minuten. While Metro offers mainly news agency material, that material has (some) quality. 20 Minuten, however, invests journalistic resources into making its own content more attractive to readers, for instance by creating arousing headlines, which do not necessarily enhance the newspaper’s quality. 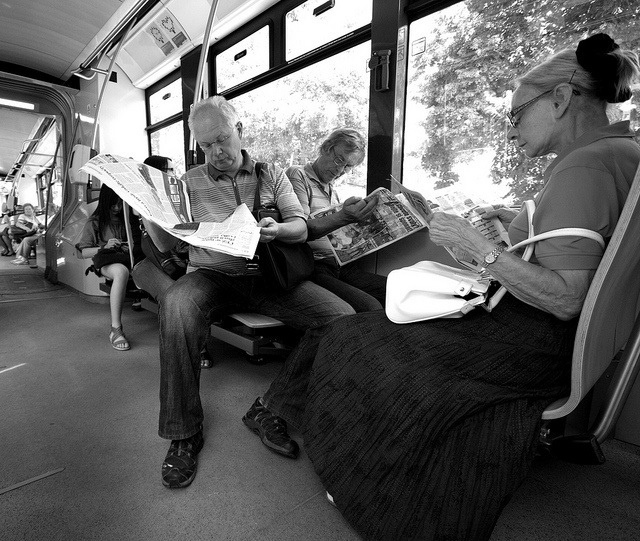 Swedish Metro newspaper was judged to be of higher quality than a similar newspaper in Switzerland, even though much of its content is produced by a news agency. A quality mission has to be anchored within the news organisation, both on the level of the news outlet itself and across the media group. The study compared two upmarket subscription papers: Swiss Neue Zürcher Zeitung (NZZ) with Swedish Dagens Nyheter. Swiss NZZ, was regarded as of higher quality than Dagens Nyheter, according to the study’s criteria. This could be explained by the fact that the overall strategy of the NZZ Mediengruppe, which publishes the NZZ, is clearly to provide high-quality journalism with primarily subscription-based quality offerings and thereby also protect the NZZ as a flagship (despite all difficulties). Compared to that, the Swedish publisher Bonnier, which owns Dagens Nyheter, shows relatively more elements of a strategy aimed at profit and/or maximum reach. In addition to seeing Dagens Nyheter as a paper which should be the “most widely read” subscription paper in Sweden (a goal the Swiss NZZ does not share), Bonnier offers also a successful Tabloid (Expressen) and has a large share of TV4, Sweden’s largest commercial television channel. Until 2011, it also had a free newspaper in Stockholm. In conclusion, this analysis of media in very similar countries suggests that news outlets of the same media types do share similar features, reflected in similar quality. However, each news organisation has a different understanding of how much effort it is able to make, and how much effort it wants to make, to foster quality news. Analysis included all articles on the front-pages of these newspapers for a random sampling in the year 2014. A total of 1600 articles for the Swedish newspapers and 1916 articles for the Swiss newspapers were studied. The quality of news was content-analysed by looking at four different quality indicators: the amount of hard news (vs. soft news), relevant focus on macro-level structures instead of individuals (i.e. no personalisation), contextualisation (thematic instead of episodic framing) and factual-normative instead of moralistic-emotional tone of reporting.